I attended the 2017 National Association for College Admission Counseling conference in Boston in mid-September. This was the third straight year I’ve been able to attend, thanks to my day job with Method Test Prep, a leading ACT/SAT preparation company. I spoke to lots of people (old friends, customers, colleagues) and the consensus seems to be that the college visits, the exhibits and the conference sessions were all very valuable. Despite widespread media coverage, underlying claims about the benefits of “going test-optional” have largely escaped empirical scrutiny, and support for these claims tends to be of limited generalizability and/or fail to adequately control for student selectivity and other factors. Hear a rigorous and balanced approach to the contemporary debate on standardized testing and the test-optional movement. Explore how test-optional practices emerged and expanded, how widespread grade inflation has made it increasingly difficult for institutions to solely rely on students’ prior achievement, and how standardized admission tests can be used in predicting student retention, achievement, and graduation. Looks good, right? Unfortunately, I found the session to be a disappointment. Instead of a debate, the members of the panel are contributors or editors to a forthcoming book called “Measuring Success” from Johns Hopkins University Press, and they spent the next hour giving lengthy summaries of a few of the chapters from the book. It didn’t take long for the suspicious part of my nature (which is never far from the surface) to begin to wonder if this book would be “rigorous and balanced” the same way that Fox News is “fair and balanced” and would actually be a vehicle for the College Board and ACT to cast doubt on “test optional” policies to preserve their core businesses. 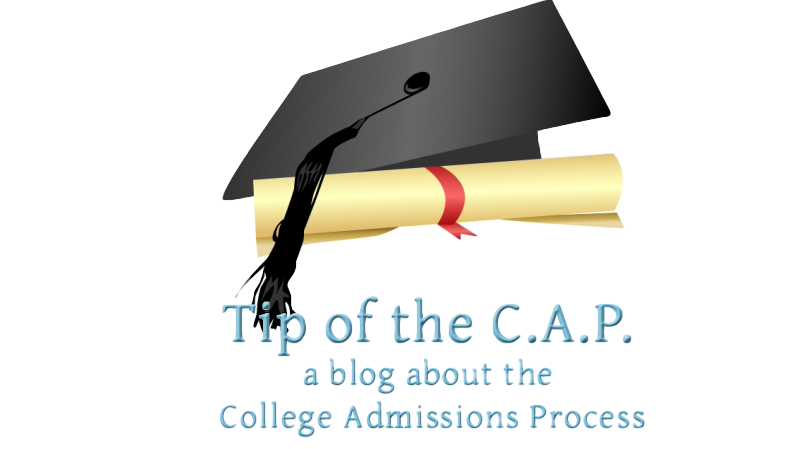 To what extent should tests play a role in admissions? How should an institution best assess students in a manner that promotes fairness? Interesting questions to be sure, but he didn’t really talk about them. Instead, Buckley spent the next seven minutes giving a general overview of the forthcoming book, and then dove into a series of graphs describing what he saw as rising grade inflation at American high schools. According to his data, students’ self-reported grades on SAT forms rose over time, while SAT scores decreased. Buckley says this has been confirmed by reviewing actual high school transcripts. Further, he said that research showed that “wealthier, less diverse schools have faster grade inflation than otherwise”. More than once Buckley mentioned an article that had appeared in that morning’s Inside Higher Ed–-he seemed somewhat unhappy with the article and if you read it you will see why. I will be interested to read his research, but to me there are quite a few, if not “flaws”, then “problematic areas” of this data. Specifically, he seems to use falling SAT scores as evidence of a negative trend, as opposed to seeing rising high school grades as a cause for celebration. Especially since the SAT has been completely revised (by Buckley!) to more closely hew to typical high school curricula since the data was recorded, doesn’t that indicate that he might be viewing this through a distorted filter? There has been little research to show the impact of test prep and coaching. “Many studies” highlight the predictive power of the ACT. High School GPA is the strongest predictor of college success, but tests are valuable. Sanchez told us that 25%-30% of the population had “discrepant ACT and High School GPAs” and that the only way to solve this “mixed message” was to consider both. Tests, he said, focus on cognitive skills while grades shed light on non-cognitive factors such as engagement, self-regulation, discipline and habits of inquiry. In other words, test optional schools lose the full picture. That might be true, but if he’s right I could give up insights into “cognitive skills” if I still had all the other stuff he described. Part of the argument Sanchez made was that students with “high or standard GPAs and low ACT scores are more likely to suppress test scores and are less likely to be admitted. Not only that, but the ones who choose test optional are more likely to be women, poor or minorities and are less likely to come back for year two of college.” I’ll have to see the data, but this seems somewhat dubious to me. First of all, what’s the proof that students with high grades who don’t send test scores are less likely to be admitted? And secondly, he’s basically saying that students with low ACTs are more likely to suppress those scores. But of course they are! And if the scores really are low, how would sending them help? It beggars the imagination to think that if high grades/no ACT is more likely to be denied that high grades/ low ACT are more likely to be accepted. Sanchez summed up his point by concluding that “We stand behind the belief that more information is better than less information.” Sure, that makes sense. But have the researchers at the ACT actually ever worked in college admissions? Probably not, but the next speaker has. Jerry Lucido is both a scholar and a dean of college admissions, so I started to hope that he might engage with the topic in a more practical, less numbers-heavy way. Apparently his chapter in the book deals with “practitioners”, but his presentation was rather problematic. First of all, he spent most of his time giving a long description of what test optional means and why institutions choose it, which only summarized what everyone in the room already knew. Lucido’s point was that he “never doubted the sincerity of motivation to choose test optional”, but that he was skeptical of the value of the policy. He concluded by saying that “the test optional practitioner is a pragmatic idealist” and that test optional admissions was “neither a panacea or the only way”. In other words, he was the third straight presenter who told us that colleges should decide what’s best for them, but they should decide on test optional policies after careful study. During the first two speakers I began to be aware of a certain, shall we say, restiveness on the part of the audience. Murmuring, people getting up and leaving, and lots of gesturing at friends in the audience increased steadily. Lucido’s presentation didn’t help with this, in part because of his constant stammering and repetition. He looked uncomfortable at the podium and this seemed to effect his speaking skills. The final speaker was Lynn Letukas of the College Board. Her presentation was marred by an inability to speak into the microphone and by the content. Basically she spent ten minutes describing every chapter of the book. That would have been fine if the purpose of the session was a book launch, but it purported to be a chance to engage with an important topic. Just as I was becoming convinced that Letukas’ role in the session was to eat up time and prevent questions, Wildavsky came back to the podium. He noted that there was 20 minutes left and that he wanted to leave “at least 15” for questions from the audience. By now, if you’ve been catching the tone of this summary you won’t be shocked to learn that he only left seven minutes and there were already six people lined up at the microphones. Before asking for audience questions Wildavsky asked a couple of questions of the panel; the answer that seemed most emblematic of the whole session was when Buckley said that “case studies are not good ways to evaluate whether there is causality between test optional policies and student outcomes”. When the seven minutes of audience questions began, I began to wonder even more if the fix was in. The first speaker was sloppily dressed and after asking if any research has been done to see why low GPA/high ACT scores exist (answer:no) wouldn’t leave the microphone. At this point one member of the audience angrily shouted at Wildavsky (I didn’t catch what he said) and stalked out of the room. The next question was from Jon Reider of University High in San Francisco. He asked “if the argument that test prep helps isn’t rigorously proven, then why do ACT and SAT now urge test prep (from their preferred providers)?” He asserted that “research by anyone not from a test prep company shows that the impact of test prep is next to zero.” Ben Wildavsky responded with a short promotional statement about Khan Academy (the chosen partner of the College Board). Reider responded by saying that he thinks that “test prep is harmful, because it’s a lost opportunity to study other things”. Sanchez chimed in by agreeing that “any class time spent on test prep is inappropriate and has the chance to harm students.” He said that people should do “some test prep, to avoid stress” but not more. That exchange was quite interesting to me. I work with hundreds of schools around the country, a large number of which use my company’s ACT/SAT prep program. In many cases they are in states which require ALL juniors to take the ACT or SAT and reach a particular score–often the results of these tests are a big part of the school’s official rating from the state Education Department and can impact the funding they receive. While this is almost certainly a misuse of the tests, it has also become an incredibly lucrative part of the test companies’ business models. It’s pretty bald-faced for an employee of the ACT to complain about declining test scores and then also complain about schools trying to raise them. The next question came from an independent consultant from Brooklyn who asked if the book will be “promoted in a fair and balanced way”. There was no clear answer, but since the question was so vague it didn’t really deserve one. The final questioner was Wayne Camara who is a VP at the ACT. But guess what? Wildavsky interrupted to say that time was up and we had to clear the room right away to make space for the next session. The other people waiting at the microphone were obviously disappointed. Jon Boeckenstedt, VP of Enrollment Management at DePaul (whose own writings are longtime favorite sources of mine) was next in line behind Camara and he made his way to the microphone to ask “How do you advise readers to consider research when writers and presenters have vested economic interest in the outcome?” As Wildavsky chided him for the tone of his question, Boeckenstedt smiled seraphically and walked away. As the speakers began packing up to leave, Camara and Boeckenstedt had a lengthy discussion at the back of the room. As this was going on, Jay Rosner of the Princeton Review Foundation told me that some of the back story of the tension in the room came from the fact that the editors had sought (largely in vain) for admissions professionals to write for the book but that it was evident that the articles would skew heavily against test optional policies. Hearing that made me even more willing to believe that the entire presentation was carefully structured to prevent any audience participation or, in fact, any argument in favor of test optional policies. In an era where people are increasingly sensitive to, and prejudiced against perceived bias, I can’t help but worry that this book will be like lots of “fake news” and generate lots of heat, but shed little light on an important subject. Thanks for this. Very thoughtful and thorough. Interesting how NACAC seemed to think this was okay to run an infomercial for the testing industry. 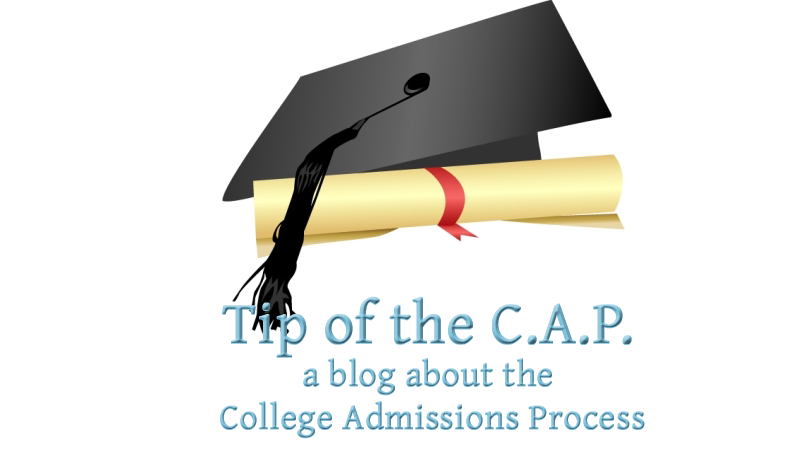 I put in a panel a few years on "Will the Bubble Burst in College Admissions" and had the nation's leading experts discussing this topics, including economic researchers and some of the biggest names in admissions consulting. I also have admissions directors from major universities to speak about how they were planning for the admissions-ocopolyse, NACAC made me twice adjust my panelists to be more diverse but they allowed this? Shameful. They needed to have a Jon Reider or Jon Boeckenstedt or a Bob Schaeffer on the panel. Thank you for sharing your experience with those of us who were unable to go to Boston. I think the use of these tests in college admission will continue to fall, especially in the private colleges. It's not a good consequence, though, that school systems will be the sales target instead as the companies seek new markets. Teaching to the test has little to do with education imho. Thanks Scott, I appreciate you sharing your viewpoint and experience on this topic. Thanks, Nola. I tend to agree.